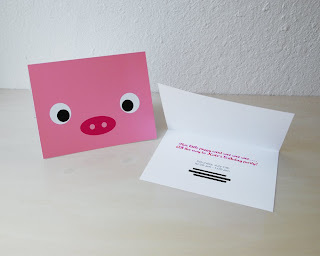 These pig invitations were for Kate's pink birthday party and it read, "This little piggy went wee wee wee... All the way to Kate's birthday party!". I thought it was absolutely cute and clever. :) Happy super early birthday, Miss Kate! Note: Personalization on greeting cards are free!